New drugs targeting cancer and other diseases will be developed at the University of Toronto Mississauga thanks to a $7 million donation from a local real estate company. The Centre for Medicinal Chemistry “is the logical next step that will help to bring cancer drugs to patients more quickly and efficiently,” said U of T’s vice-president of research and innovation, professor Vivek Goel. 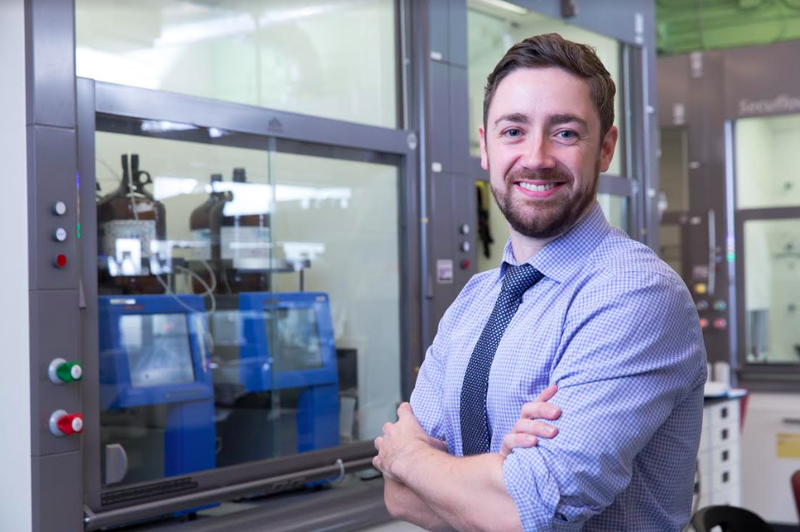 Mississauga-based Orlando Corporation is funding the future research hub of leading Canadian scientists, inspired by the laboratory of professor Patrick Gunning in UTM’s department of chemical & physical sciences department. Designing lead compounds which have the potential to be turned into cancer-fighting drugs, Gunning’s research team will be concentrating on medicinal chemistry, computational chemistry, cancer biology and stem cell biology. They’re focusing on creating purpose-built compounds to interrupt specific biochemical processes while avoiding harm to normal cellular functions. Goel describes the group’s research as groundbreaking. Since 2011, the Gunning team has moved four lead compounds to advanced pre-clinical trials. “Through this gift, we have a unique opportunity to dramatically scale the work that has already taken place in our efforts to develop life-saving drugs, and in doing so, also train a cohort of highly-skilled talent in the life sciences,” said Gunning. The “impressive record” of the Gunning lab in early research trials “promises great things for the future of cancer research,” said Orlando president Phil King.